he procedure starts by taking a sample of the patient’s blood and processing the sample stall-side or in clinic. 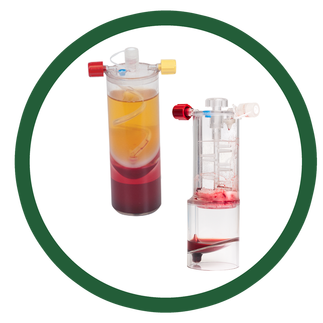 The processed Pro-Stride sample contains Platelet Rich Plasma (PRP) and Interleukin-1 Receptor Antagonist Protein (IRAP). PRP contains both the signals and the matrix proteins to “jump-start” the regeneration process. IRAP inhibits damaging inflammatory molecules in the joint. In chronic injury such as osteoarthritis, healing becomes stuck in the initial inflammatory phase. Before healing can begin in earnest, the inflammatory signals must be silenced and replaced with signals which promote tissue regeneration. This is accomplished by using PRP and IRAP to work synergistically to promote joint healing. This concentrated solution is then injected into the affected joint. Clinically demonstrated to provide pain relief up to one year from a single treatment, with the potential for disease-modifying effects. Excellent alternative for overweight or metabolically challenged patients to avoid steroid use. ro-Stride Injection will reduce pain associated with arthritis and deliver naturally occurring anti-inflammatory proteins. Pro-Stride Injection is capable of slowing cartilage degradation and improving mobility. This treatment has longer duration of efficacy when compared to traditional joint injections using steroids and hyaluronic acid. It is also a great option for horses that initially respond to a steroid injection but have recurrence within just a few months.